Firstly, the title is pretty generic. I’ve only been in this game a short time and everyone has different likes/dislikes so I won’t pretend to speak on behalf of every mother to a child with special educational needs and disability (SEND). However, I hope this sheds some light and encourages a little more thought on the topic. 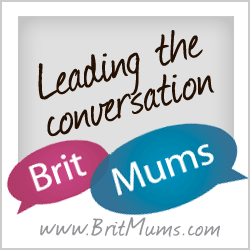 The topic being what not to say to a SEND parent/carer and how to rephrase. I may not be able to sit or walk but I CAN do THIS and I’M HAPPY! Such an innocent question. Yet the answer is often no. No is a negative. No is a reminder that our child is not meeting expectations. They are not where you or I would expect a child their age to be. Even if it’s light-hearted and you’re asking earlier than the development stage should be, if the child has health problems or delays then this is something that already worries us. Alternative: What are they doing right now? What is their latest achievement? What can they do? Has *insert name* learnt anything new recently? 2. (Tube-fed children) Is he/she eating yet? Eat? Why would I do that?! For a tube-fed child’s parent, another reminder of a negative. No parent wants their child to be fed through a tube. No parent wants to tell you that no their child does not eat orally and months later, no they’re still no eating orally. It’s exhausting trying to get them to eat, it’s exhausting hoping and praying for something that is human nature to us and yet proving impossible for them. If they are eating, we will definitely tell you about it with the above alternative questions. In fact we’d probably scream it from the rooftops without any question. Alternative: What’s his/her feeding regime? 3. (Strangers) What’s wrong with him/her? Expect a defensive response now. This question can sometimes be started with “can I ask..” which gives the false impression you’re being polite. Do not delude yourself Doreen, it’s rude. If I said to you “can I ask.. whats wrong with your face?” because you’ve got freckles (I have freckles before you start) would that be acceptable? No, because there’s nothing wrong with you, you just have a different feature, just like our babies. That being said, I am open to questions and don’t want to deter them. Ignorance is not bliss and education can spread better understanding. I’d rather you ask than just stare. In fact, I’d love to raise awareness and tell you all about a world that needs your love and attention. It’s all about being compassionate enough to word it in a way that doesn’t feel like criticism. Alternative: Is he/she happy? Do you have any diagnosis? How is that diagnosis managed? Can you tell me about their health? 4. Will they ever/when will they.. walk/talk/eat/crawl? Do I have a crystal ball Susan?! Possibly one of the most frustrating questions that I don’t think needs anymore explanation. 5. When are you going back to work? Have you got a job yet? I’m sure this is an innocent question but it is possibly the most ignorant. This question reminds us that you have no idea how time consuming our child’s health needs are despite the fact we’ve probably reeled off a list of diagnosis, hospital stays and complex medical needs to you. I’ve been there myself. I obviously haven’t had Jaxon forever. I’ve been completely ignorant and not batted an eyelid at the disability community. I get it. We all know the school curriculum doesn’t cover necessary topics from taxes to disability. I remember during my degree having disabled patients and not quite knowing how I should act or what I could/should say. Even now sometimes I want to speak to someone with a disability but I lack confidence and fear rejection. Just like if I wanted to ask that girl where she got her cute skirt is from. Let’s talk more! Hopefully this article can give you the knowledge to be confident communicating with someone with a disability and/or their parent/carer. The world needs more inclusion and that starts with understanding. If all else fails a great recommendation is to give a compliment! I love this idea, perfect ice-breaker – simple, effective and fool-proof. “I love your her hair-bow/shoes”. “He’s beautiful”. If you would like to follow our journey find our Instagram account here, you can also find our Facebook page here. Don’t forget to sign up to receive updates of new blog posts on the right of this page. By all means help us to educate and raise awareness by sharing this blog. For more information about Jaxon click here to be directed to the blog home page. NEW: We are on YouTube! There are no videos yet but click here to subscribe and once we reach 100 subscribers we will start sharing even more with you! To purchase a children’s health awareness organisational calendar to fundraise for Jaxons health needs click here. Alternatively if the calendar is not to your taste but you would still like to donate scroll to the end of this blog for a link to donate. We appreciate you reading and any donations received. I love this post! I have had all of the questions- as I am sure we all have! The answers to them often depend on my mood which in turn is influenced by who is asking and how many times I have been asked that day 🤦‍♀️. So the 4th question I get a lot, I’m never offended by it, I understand people don’t know Livy’s condition and are curious, it’s a good learning opportunity, I always state the UK/US stats to them, yes Livy has overcome mountians to be able to walk independently and people, strangers are amazed but does that mean she will now talk, no, I have hope that with the right therapy she will but I have to be realistic and share that realism with the rest of the world, that it’s going to be 100 times harder for her to talk then it was for her to walk, because physically I can make her repeat positions and movements, I can’t as much I try, to get her to breathe out and make a sound. Some rephrase I would prefer people to ask “what does he/she love to do?” rather than “what can they do?” as I still think of all the things she can’t do. Can I add to your no-no list? Don’t pity us or openly be sad for us. Instead of ‘not normal’ please be kind when comparing our children to typically developing kiddos. Nobody wants to be called ‘not normal’. Also, don’t offer false assurances and empty platitudes of ‘oh my 3yo still does that’ or ‘I’m sure she’ll grow out of..’ [insert whatever they’re trying to downplay]. Pretending everything is okay doesn’t make it so. Instead it may make us feel invalidated and unheard. Lastly ‘are they still poorly?’ To use your style, yes Susan, organ failure/chromosomal differences can be funny like that.. I like the way you’ve reframed the questions so they don’t leave a bitter taste. We don’t want to put people off asking questions, but your reframed versions take out the sting of the wont’s, cants and nevers . Thank you for being our voice.